We also do custom-made products - in small or large numbers. Plates made from recycled glass. Restaurant Rest (NO). 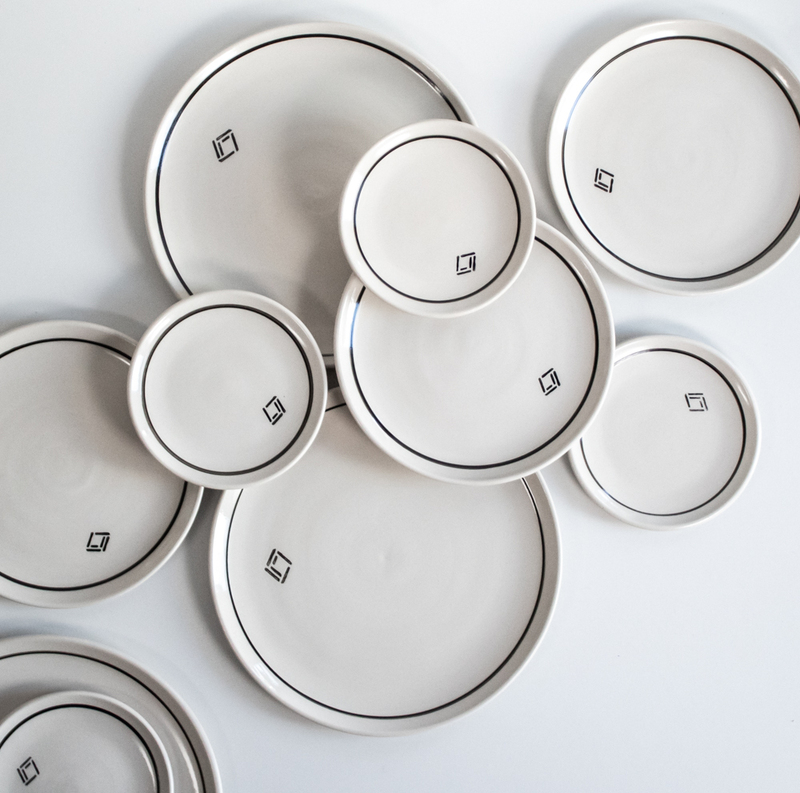 Plates with a line and logo. Eilert Smith Hotel (NO). Thick plate. Kontrast (NO). Photo Lars Petter Pettersen. Plates made from powdered sugar and silk paper. Bowls from recycled clay. Restaurant Rest (NO). Small tumblers. Villa Skeiane (NO). Plates made from left-over clay. Restaurant Rest (NO). First edition of our glass bowl Melt. Photo Colonialen (NO) / Helge Hansen & Jonas Bostrøm / Montag. Flat plate. Photo Tommy Andresen /Even Ramsvik "Ny Norsk Mat". Plate with a rusty-looking squeezed edge. Plates with rim. Renaa (NO). Bread and butter serving. Tango (NO). Custom-made petit-four plate. Tango (NO). Cups with pastel colours and logo. Coffeeberry (NO). Edge/25 plates with a pink matte rim. De Fem Stuer (NO). Recycled glass bowl. Restaurant Rest (NO). Plate for Kontrast (NO). Photo Anders Husa. Bread baskets. Restaurant Rest (NO). Thick, rectangular cheese plates. Smak (NO). 32 cm stone plate for Christian Pettersen, Årets Kokk 2017. Hand painted cups. Renaa (NO). Jugs with cork lid. Coffeeberry (NO). Plate with chicken feet. Restaurant Rest (NO). Plate with rim. Renaa (NO). Thick plate. Fisketorget (NO). Photo Fredrik Ringe. Black rough bowls. Ben Tesh (UK). Bowls from clay and crushed oyster shells. Restaurant Rest (NO). Competition plate for Rasmus Skoglund, Årets Kokk 2017. Block plates for Arne Brimi (NO). Bowls and plates. Hotel Eilert Smith (NO). Special edition of Boks for Colonialen (NO). Snack plates from recycled clay. Restaurant Rest (NO). Rough version of the Edge plate. Photo Tommy Andresen / Even Ramsvik "Ny Norsk Mat". We work with most materials, and have a large network of talented craftspeople and manufacturers - in addition to our own microfactory. If the product is interesting for our assortment, we cover the development costs. Development and production time from 4 weeks, depending on complexity and quantities. Contact us to discuss any project, large or small.